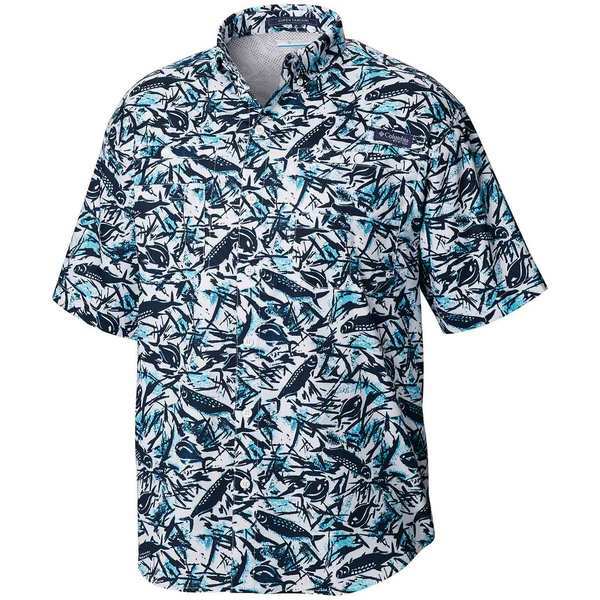 The Men's PFG Super Tamiami™ Shirt comes in a crisp yarn-dye wicking fabric and mesh-lined ventilation at center back for the ultimate in cool-wearing comfort. Omni-Shade® UPF 40 provides maximum protection for long hours in the sun. Omni-Wick® technology actively breathes and pulls moisture away from your skin. Antimicrobial treatment protects shirt from bacterial growth. 100% polyester. Imported.